"A harrowing read, and it should be . . . enlightening . . . A disturbing and illuminating tale." The 1960s have come to a close--it's 1972, and America is changing. So is Deidi's world; she's seven, and her family is moving. As she packs her room and unearths precious objects from her past, her thoughts begin to stray to the years before--to her first memories in 1968, and all that followed. From these reveries unfolds a story of terrible abuse and incredible survival. We see Deidi grow from a three-year-old whose understanding of the world is just beginning to form to a child whose courage, compassion, and sense of wonder persist despite every obstacle. Through her vivid recollections, the stark landscape of rural America, the political and social turmoil of the era, and the brutal power dynamics of adults come into sharp focus. Deidi's story reveals the darkness roiling beneath the surface of American life and the way children are forced to confront it themselves, weaponless and alone. For Deidi, whose family continues to fall into deeper and darker cycles of sexual abuse and violence, survival is a matter of clinging desperately to the light in the world around her--no matter how dim it grows. By turns heartbreaking and stunningly beautiful, Little Girl Leaving is a reminder of the incredible power and fragility of a child's spirit, and a call to action to protect it at all costs. "Insightful, poignant, and riveting. I believe that everyone living with or around children should read this book." "An enthralling read, a brilliant read. You will never forget it." 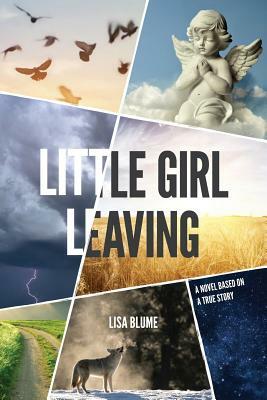 "Little Girl Leaving, Lisa Blume's debut novel, is sadly tragic but deeply moving and evocative." "A sensory barrage. A convincing and disturbing narrative. Most wonderful is how variously the child's goodness of spirit tries to maintain itself. This is a page-turner." "A must-read. A compelling story of a wise girl who tries to do good, no matter how painful and frightening life becomes, with the beauty of her essence always somehow enduring." "Awake and alive to the unending beauty of the world juxtaposed with its secret horrors--an extraordinarily powerful punch to the heart."